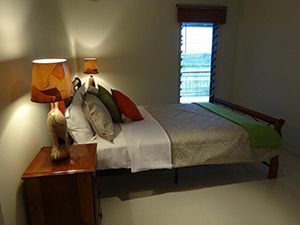 Fully self-contained and serviced apartments have been designed to accommodate all your needs, first-class quality and comfort all in the most convenient area in Port Vila. 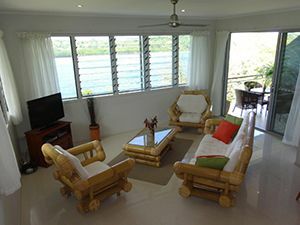 We have one, two and three bedroom apartments with magnificent lagoon views. All apartments have large balconies or courtyards. 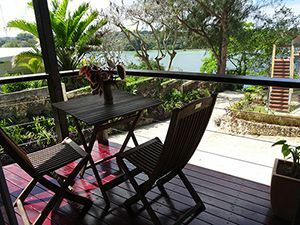 These apartments have one queen bed and are ideal for a couple or single traveler. Our two-bedroom apartments have a bedroom with one queen bed and a second bedroom with either one queen or two twin beds (please note below if you have a preference). Our three-bedroom apartments have two bedrooms with one queen bed and a third bedroom with two twin beds. To request a reservation, please complete the form below and we will respond as soon as possible.